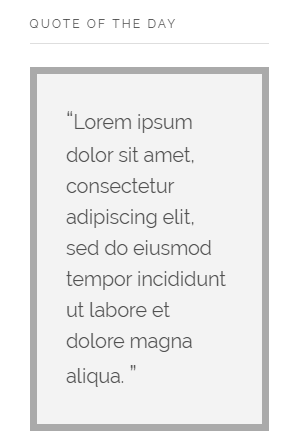 Phlox Quote Widget, lets you show your favorite quotes, not only on the posts’?content but also on any widget area you want. 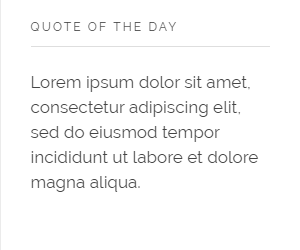 This widget has different blockquote?styles. Recommended: You can use this element, to show your website testimonials. 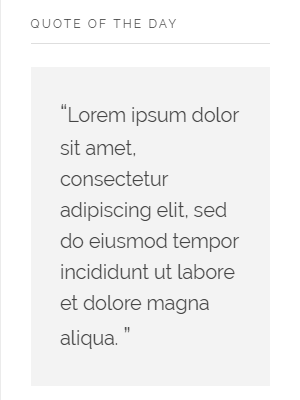 On this section, you are able to write the text you want to add within a quotation. You can change?Text alignment,?Text Color, or any?Typography?option you want. You can show or hide?Quote Symbol?by enabling or disabling this option. ?The?Color is editable and you can also change?Typography?options like font or font weight. 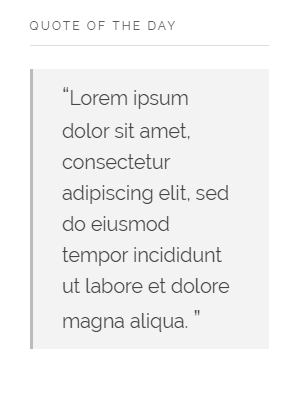 The space between the symbol and your text can be increased or decreased by changing?Text indent. The last option in this section, is?Margin, which can have different values in mobile and tablet. There are five?Border Types😕Solid,?Double,?Dotted,?Dashed, and?Groove. 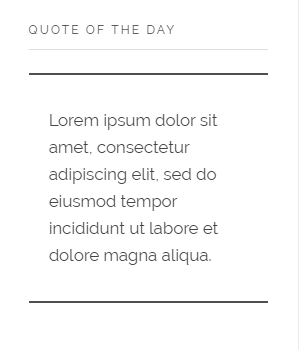 However, it is optional to add border for your quote. Besides, you can change the width and color?of this border. Your block can have?Background color, too. 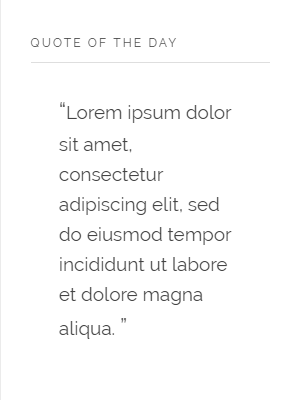 Here in this field, write a text you want to display as a quote on your website’s widget area. There are eight styles to select for your quote. 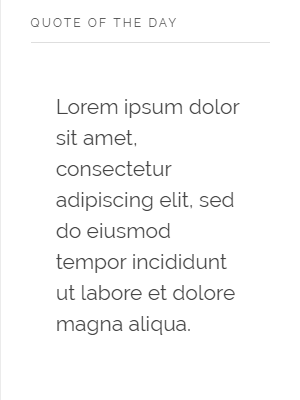 Text alignment can be Left, Right, or Center. To show?a start and end quotation marks, switch this on. This option allows you?to have your customized. 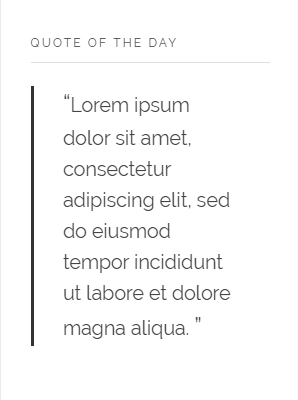 To customize the widget style, you should write the style on?your CSS file. 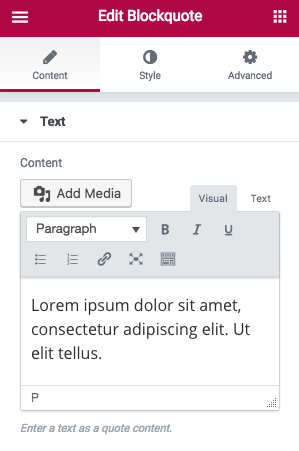 After that, you can add the class name of that style in this field.